Meet Gisell Jeter-Bennett, our Intercultural Specialist for Women Initiatives. Women Student Initiatives (WSI) within the Student Life Multicultural Center (MCC) is committed to promoting gender equity by promoting intersectional feminist activism and dialogues, developing women's leadership, and celebrating women, past and present, who challenge, motivate and inspire. In alignment with these goals, WSI programming further the academic mission of the University and the mission of the Multicultural Center through meaningful dialogue, intentional presentations and community based learning aimed at empowering all women-identifying students and allies. WSI Cohorts offered for women-identifying students by the Student Life Multicultural Center focus on intersections between identities, community building, personal development and leadership. The groups are implemented with the support of student leaders, professional staff and in partnership with women-identifying student organizations and Central Ohio community resources. The aim of this group is to provide an empowering environment where women-identifying students can engage in conversations and workshops that promote self-awareness, build confidence and increase students' knowledge of their own leadership potential. Meetings are the 1st Wednesday of the month at 6 p.m. This group is dedicated to providing supportive space for self-identified women of color students to connect and celebrate their unique their perspectives and experiences at the intersection of race and gender. Meetings are the 2nd Wednesday of the month at 6 p.m. 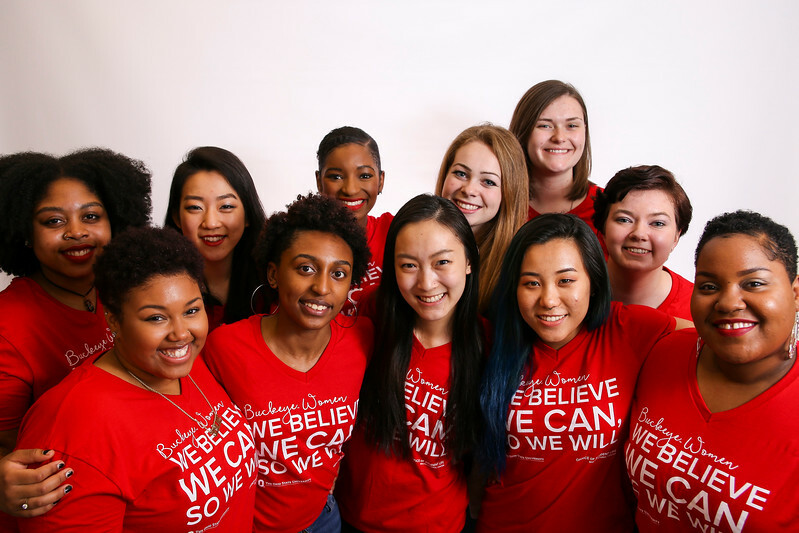 The committee is comprised of students (undergraduate and graduate/professional), staff, and faculty working together to create a month of events aimed at connecting, celebrating, empowering women-identifying communities and their allies. In April, the Say Her Name cohort offers students the opportunity to attend the FWCA national conference. The conference offers women of color faculty, university administrators, post-doctoral fellows, graduate students and undergraduates a unique educational and professional opportunity to network, engage, and learn with peers from around the country. The two-day conference, held at the Inn at Virginia Tech and Skelton Conference Center in Blacksburg, Virginia, will feature prominent and well-known women of color scholars as keynote speakers, panelists, performers, and workshop facilitators. The conference is scheduled for April 5-6, 2018. Information about eligibility and the application process will be discussed at Say Her Name cohort meetings. The AAUW National Conference for College Women Student Leaders (NCCWSL) is the premier conference for students to hone their leadership skills, make lifelong connections, and get ready to shape the world! For more than 30 years, NCCWSL has provided a transformative experience for the next generation of leaders. Past attendees have gone on to lead nonprofits, innovate the corporate world, create disruptive technologies, and more — all while paying it forward for women and girls! The conference is scheduled for late May 2018. Information about eligibility and the application process will be discussed at the Women's Cabinet cohort meetings. Signature Events are the hallmark programs of the Student Life Multicultural Center and demonstrate a strong tradition of building community adn raising visibility every year. Signature events are implemented with the support of professional staff and in partnership with student organizations. Women Center Wednesdays: 1st Wednesday of the month at 8 pm. WSI Cinema: 2nd Wednesday of the month at 8 pm. Gisell also provides updates on events for women throughout the year in her newsletter. Click here to sign-up! For further information please contact Gisell Jeter-Bennett, Ph.D., jeter-bennett.1@osu.edu.